Blogger to WordPress Migration – Do you want to move from Blogger to WordPress?Well, I know this is because you want full control of your website. You want more flexibility and WordPress will provide you, Especially with website customization and SEO better options. This guide will help you Step By Step migration from Blogger To WordPress with Pictures. Here are the steps you will have to perform for Blogger to WordPress migration without losing SERP’s ranking and data. This process is easier than creating a website in WordPress and it will take up to 5 minutes only. 1. Sign up with WordPress hosting company. 2. 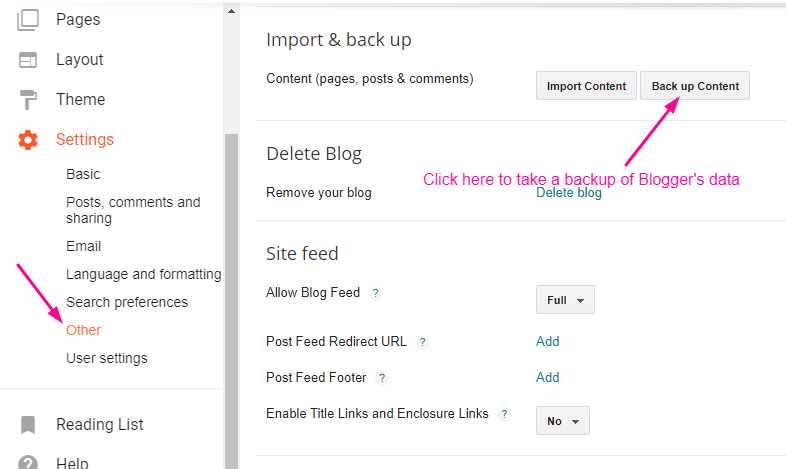 Now Export your Blogger blog posts by visiting Settings » Other page. 3. Import Blogger data to WordPress by visiting Tools » Import page in WordPress admin area. 4. Setting up permalinks on your new WordPress blog. So, here we go, let’s See all the Steps one By One. If You don’t wanna read more watch this youtube tutorial about WordPress To Blogger Migration Step by Step. This is not a step but it is a prime thing which you need to focus on. Because I don’t know how much traffic you are getting on Your Blogger right now? If You are new to Blogger and Just want to migrate from blogger to WordPress, You just need to follow steps 2,3 and 4. But for an old Blogger Website, this is very important that they have to decide a better hosting Plan. I am having 7-8 websites right now and I am using Godaddy on all. So, I recommend Godaddy to You. it is an amazing hosting provider for a Starter or for a heavy Load site. You will also get a domain of your choice in free with the hosting. Godaddy will also give you Economy Plans in starter rate almost 70% off for Okey Ravi users. Isn’t it amazing? Yes, it is. If you want an alternative to Godaddy then you can go with Bluehost or Hostgator. These two are also the best hosting provider. Once You have bought a hosting plan then next you have to install WordPress. You can follow this article to install WordPress Step By Step. Now Let’s move on to step 2. Simply log into your blogger dashboard and go to Settings » Other page. Under the ‘Import & back up’ section, you need to click on ‘Back up Content’ button. Now your Blogger Blogs Contents will be downloaded to your PC in XML format. Now it’s time to import this data to WordPress Website. To start importing your Blogger site into WordPress Website, just follow these easy steps. You need to go to your WordPress admin and visit Tools » Import. On the import page, click on Blogger. Now Click on Install Now button and install the importing setups for Blogger. WordPress will now download and install the Blogger Importer plugin for you. Once it is finished installing, you would need to click on the Run Importer button to continue. When you run the Blogger importer, WordPress will ask you to upload the XML file. This is the file that you downloaded in Step 2. Once you have clicked on “Update file and Import” WordPress will now import your blogger posts one by one. When it is finished, you will be asked to assign an author to the imported Blogger posts. Here you can create a new author or you can simply assign these imported data to an existing author. Hurray!!! Now you have successfully imported your Blogger content into your WordPress Website. However, you still need to make sure that you don’t lose any search rankings and that visitors from your old blog easily land to the same content on your new WordPress website. Permalinks is the term used for URL/SLUG structure of individual Web pages. 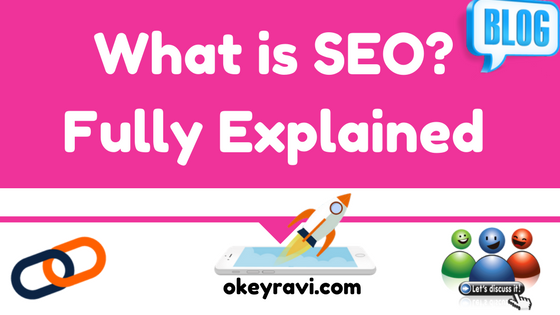 WordPress comes with a feature that allows you to set up SEO friendly URL structure. 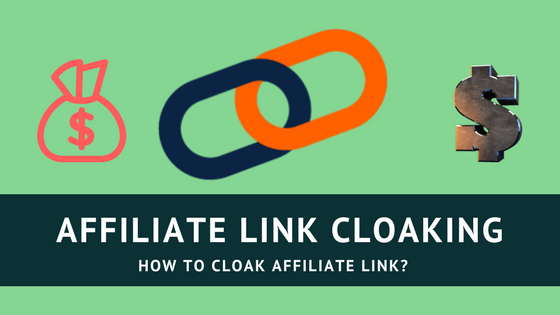 However, Since you are importing bloggers data to WordPress, You want a near to same permalink structure as your Bloggers feed. 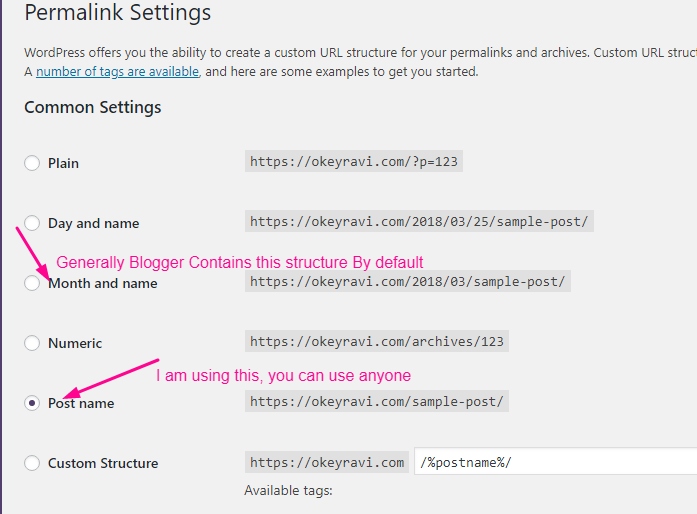 See this is not mandatory, you can also set a permalink structure according to your WordPress Blog post URL structure. To set permalinks, you need to go to Settings -> Permalinks screen and choose Month and Name as your permalink structure if you need permalinks like Blogger. Otherwise, you can use any custom permalink. To successfully perform Blogger to WordPress migration, you need to set up redirection on two levels. Number One -You will redirect Blogger visitors to your new WordPress blog. Secondly, once users reach your WordPress site, you will redirect them to the exact post they were trying to read. Let’s first set up redirection on the blogger blog. You need to log on to your Blogger account and go to your Blog’s settings and click on Theme. 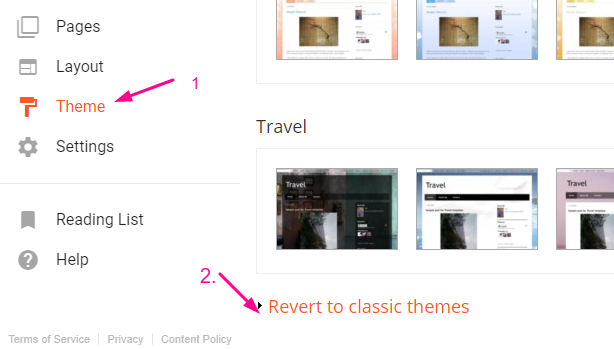 On the Theme page, you need to scroll down to the bottom of the page and click on Revert To Classic themes. After switching to the classic theme, you will see Edit Theme HTML Area. You can see there a lot of Html code, Just Select them all and Click backspace Button to delete. After this, you need to replace everything in this text area with the following code. Make sure that you replace with https://example.com your own domain name. Now just save your theme with this code, and you have successfully implemented redirection on your Blogger blog. However, you still need to setup redirection on your WordPress site so that users are redirected to the proper WordPress posts. You can easily find functions.php file in Appearance-> Editor Section. If there is no functions.php file then you can create this in Cpanel Easily. Here is the code which you need to paste in Functions.php at the lower end. 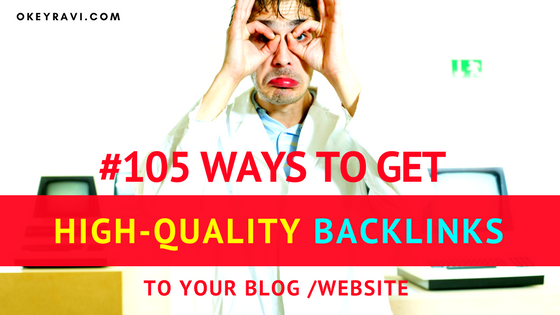 The code above creates a Blogger to WordPress 301 redirect which is what you need to ensure the best SEO. Now anyone visiting a post on your old Blogger blog will be redirected to the same post on your new WordPress site and this is really an amazing thing you have just done. You can do this by logging in to your Blogger account and then visit Settings -> Other pages under your blog dashboard. Usually, it is http://example.com/feed/ (don’t forget to replace example.com with your own domain name). Here you have done, you have successfully migrated from Blogger to WordPress Now. Congratulations!!! I hope this guide has made an important role in this. So Just share this Guide with your near and dear ones. Tell them this is the best way to perform Blogger to WordPress Migration. I love to see you again. Thanks for reading. Read Next: How to add a Custom featured Image In Blogger? If you have any comment just mention it below to get the best help from my side. Great Job hats off to U, Keep it the way you do. This Blogger to WordPress migration article has helped me a lot. Hi Arjita, you made my day. Thanks for the appreciation. Very informative content indeed. I did my Blogger to WordPress migration today watching your tutorial. Thanks Ravi. Hi Ravi, Thanks for this Blogger to WordPress migration tutorial. Now I have completely moved my site from Blogspot blog to WordPress. I have also did the proper redirection as you said. it works fine. Thanks again. I am glad it helped. Did you faced any difficulty in website migration? VEry Useful article ravi bhai. Thanks for sharing! Nice post it’s really helpful for me. I wish I found your guide earlier! I was looking for Blogger to WordPress solution for a few months. For my migration, I used cms2cms automated service. Those guys were just awesome, the migration was smooth and their support team very kind. Sincere recommendation for such a zero-coders, as I am. sir i have more than 2mb blogger file how to import ?? Then what is the issue in migration, you can use the same procedure…are you getting any error?